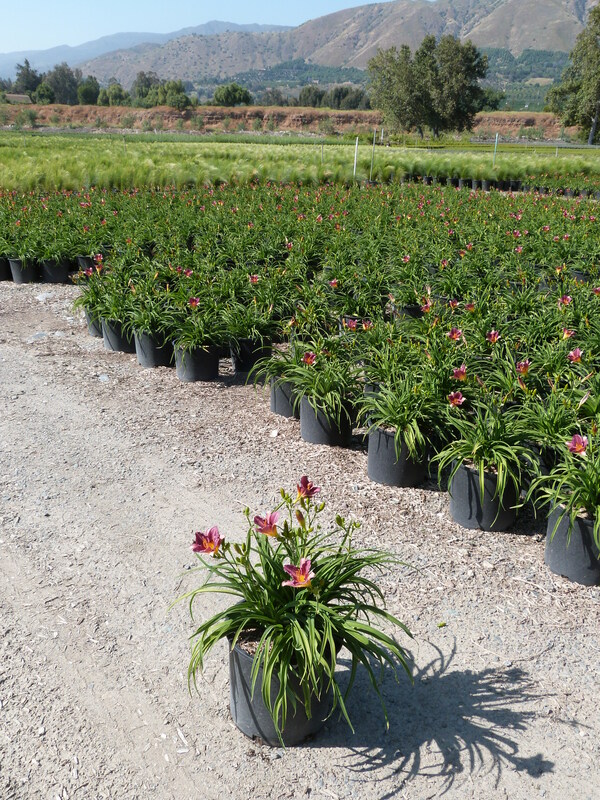 Hemerocallis ‘Purple de Oro’ is the purple version of the ever popular landscape favorite ‘Stella de Oro’. This reblooming miniature Daylily is a charming and highly desirable with 2-3″ wide ruffly reddish purple flowers and a tough no nonsense nature. Blooming from May to frost this is a great plant for perennial beds, shrub borders, and mass plantings. It’s compact size and large number of flower buds make it a very attractive, neat, and reliable performer. Deadheading during the summer will increase blooming and division in the fall every 3-4 years is recommended to maintain heavy flowering. Thrives in moist-well drained soils, and drought tolerant once established.